Gawade, M.M, Vaish, R, Nduta, M, & Davis, J. (2012). 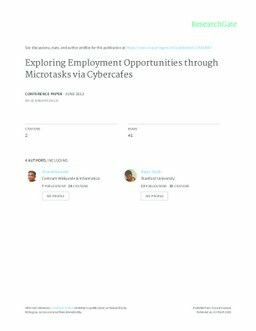 Exploring employment opportunities through microtasks via cybercafes .